Inadequate organic waste management leads to a plethora of problems such as environmental pollution, eutrophication, esthetic damage to urban landscape, greenhouse gases emission and effects on human health. Unwise and non-scientific disposal of wastes not only poses a grave threat to environmental quality but also results in loss of economic value of wastes. Since organic wastes are an abundant pool of organic matter and valuable plant nutrients, agricultural recycling of these wastes appears to be a promising alternative enabling value addition and their resourceful utilization. Land application of organic wastes stabilized through techniques such as composting, vermicomposting and anaerobic digestion yielding excellent organic fertilizer like compost augments soil fertility and crop yield. Additionally, the practice incorporates indirect environmental benefits such as reduced greenhouse gas emissions, land conservation due to reduced landfilling of wastes and substitute to chemical fertilizers. Economically also, agricultural utilization of organic wastes reduces the cost of landfilling, transportation of wastes, imports and production cost of chemical fertilizers and opens avenues for rural employment. However, effective utilization of organic wastes for agricultural purposes requires thorough and strict risk assessment to prevent the adverse effects of contaminants like heavy metals, persistent organic pollutants to ensure agro-environmental sustainability. 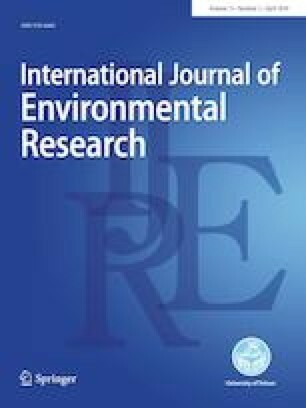 The present article aims to enlist the positives and negatives associated with this practice enabling to devise an approach or strategy deriving maximum environmental and economic benefits. Agricultural recycling of organic wastes can be explored as an eco-friendly and sustainable waste management approach. Organic wastes are a rich source of beneficial plant nutrients (macro and micro) and organic matter. Organic waste amendments improve soil physico-chemical and biological properties and benefit plant productivity. Organic wastes offer the potential to be used as a valuable resource. The authors are thankful to the Dean & Head, Department of Environment and Sustainable Development and Director, Institute of Environment and Sustainable Development, Banaras Hindu University, for providing necessary facilities. RPS is thankful to Department of Science & Technology for providing financial support (DST-SERB P07-678). BS is thankful to University Grants Commission for awarding Junior and Senior Research Fellowship. BV is also thankful to Council of Scientific & Industrial Research for awarding Senior Research Fellowship.